1GM requires eligibility. Not available with some other offers. See dealer for details. 2Monthly payment is $13.89 for every $1,000 you finance. Average example down payment is 4.5%. Some customers may not qualify. Not available with leases and some other offers. Take retail delivery by 4/30/19. See dealer for details. The next chapter in existing small SUVs, the new GMC Terrain is here! Featured at our Jacksonville, FL dealership, it is taking the automotive world by storm. This SUV has a boldly styled body frame and intelligently engineered engine. The new GMC Terrain, offered at our Jacksonville, FL dealership, is a strong blend of design, functionality and engineering excellence. With its refined exterior, it helps ensure you can cut through the air with perfect efficiency and quietness. Adding to the peaceful ride is the peaceful cabin space. With stronger acceleration and higher performance, the new GMC Terrain will make your daily Jacksonville, FL commuting fun. The Terrain provides a unique driving experience. With available safety features, enjoy the latest infotainment systems as well while you commute with peace of mind. 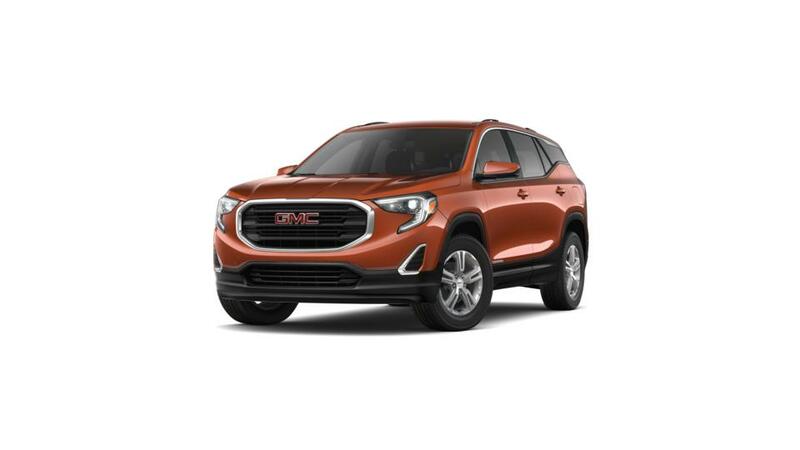 We offer a large inventory of the new GMC Terrain at our Jacksonville, FL dealership, with flexible financing options to suit your needs and budget perfectly. Featuring a range of vehicles, our inventory page will help you get started with your search for this model. Give us a call to schedule a test drive of the new GMC Terrain at our Jacksonville, FL dealership today!